Join us for Ecoliteracy and EarthEd: Rethinking Education on a Changing Planet, a conversation for educators with Erik Assadourian, Senior Fellow & Director of the Transforming Cultures Project at Worldwatch Institute, and Michael K. Stone, Senior Editor at the Center for Ecoliteracy. In an era of climate disruption, all education will need to be environmental education, but environmental education cannot focus solely on teaching everyone to live just a bit greener. Instead, it will need to both teach students to be bold change agents as well as equip them with the skills necessary to survive the turbulent century ahead. Erik Assadourian will explore how to reorient education on the dual priorities of sustainability leadership and resilience education, in order to prepare students for life on a changing planet. Erik will explore the results of the Worldwatch Institute's latest State of the World report, discussing key aspects of Earth Education, including how to cultivate stewardship, social emotional learning, systems thinking, and deep learning. Michael Stone will address guiding principles and steps a variety of schools and districts are taking to revise policies and support schooling for sustainability. The presentations will be followed by conversation. Immediately following the event from 4:00 pm - 5:00 pm, Rachel Wilson (C&I) and Vachel Miller (LES) will host a discussion regarding what the Reich College of Education can do to support and further ecoliteracy in education. This event is being held in conjunction with Worldwatch Institute's EarthEd Symposium on Thursday, April 20. Erik Assadourian is a Senior Fellow at the Worldwatch Institute, where he has studied cultural change, consumerism, sustainability education, economic degrowth, ecological ethics, corporate responsibility, and sustainable communities over the past 15 years. Erik has directed two editions of Vital Signs and five editions of State of the World, including the upcoming State of the World 2017. Erik also directs Worldwatch Institute’s Transforming Cultures Project, which focuses on how we can transform cultures so that living sustainably feels as natural as living as a consumer feels today. Currently, Erik is leading a new effort around rethinking education for life on a changing planet. This EarthEd initiative will be the focus of State of the World 2017. 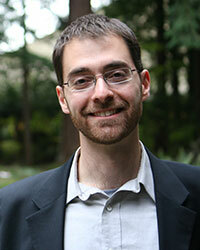 Before joining Worldwatch, Erik learned environmental organizing as a fellow with Green Corps. He graduated from Dartmouth College with majors in Psychology and Religion modified with Anthropology. 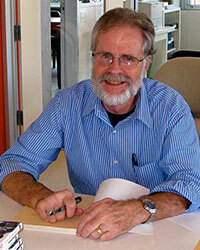 Michael K. Stone, senior editor, is the primary author of the Center for Ecoliteracy's book, Smart by Nature: Schooling for Sustainability (Watershed Media/University of California Press, 2009). He coedited Ecological Literacy: Educating Our Children for a Sustainable World (Sierra Club Books, 2005). Prior to coming to the Center, Michael was managing editor of Whole Earth magazine and the Millennium Whole Earth Catalog; he has also written for the Toronto Star and The New York Times, among other publications. He was a founding faculty member and academic vice president of World College West in Northern California.